Oh Suzanna! 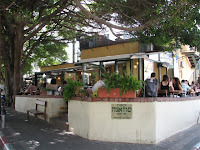 One of Tel Aviv's best restaurant in one of the most beautiful areas in Tel aviv, Neve Tzedek. Breathe in the architectural and artistic atmosphere in the narrow and beautiful alleyways. It's only a matter of time that before you will stumble upon Suzanna. To make a long story short - all the dishes at Suzanna's look, smell and taste amazing. 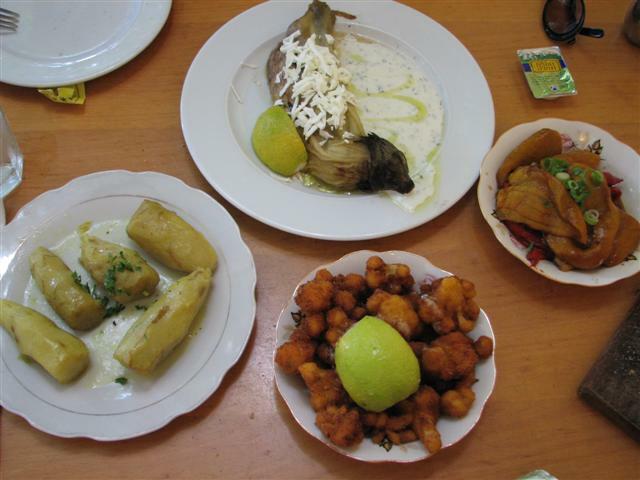 Start off with great hot and cold entrees (called "meze", many of them are vegetarian). We tried the fried cauliflower, grilled eggplant, bell pepper salad and the Jerusalem artichoke, all SO yummy! You can really eat a whole meal just of those. Suzanna's menu has a couple of good vegetarian dishes, such as the salads and stuffed vegetables. 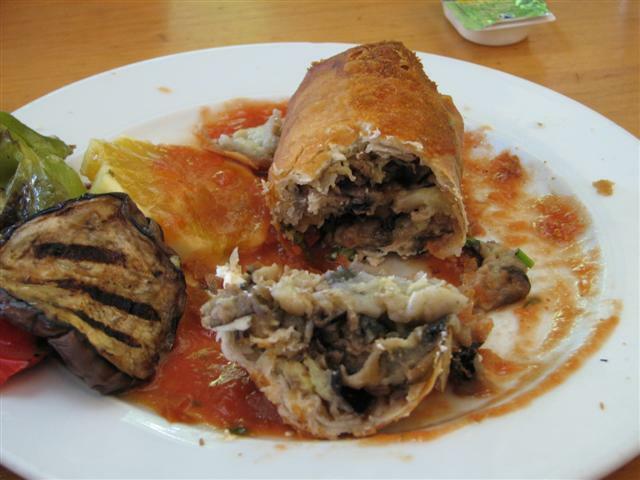 As a main dish we ordered the filo pastry with eggplant and goat's cheese. Nice and delicate stuffing with a cripsy layer of the filo, what a combination! But the menu of Suzana also contains a couple of meat dishes, like lamb kebab, skewers, entrecote and also seafood such as sea bream, mullet, shrimps and calamari, which we kept for some other time. Highly recommended! Reaching Neve Tzedek by bus can be annoying, but anyway - Take bus no. 25 towards Jaffa, ask the driver to go down at Charles Clore park. Then, you have to go find your way east, away from the beach, to the inside neighborhoods. Ask around how to get to Shabazi st., they will probably know. Taxi from the center will cost approximately 30-35 NIS.